The Orca, or Killer Whale, is the largest member of the dolphin family; adult males can reach a body length of over nine metres and may weigh more than 5,000kg. They have distinctive black and white markings and a large dorsal fin; the dorsal fin of an adult male Orca is the largest of any cetacean, measuring up to 1.8 metres tall. Orcas are intelligent predators and often use specific hunting techniques to feed on particular prey. In Argentina for example, Orcas are known to beach themselves in order to catch seals and sea lions on the shore. Orcas may also target seals and seabirds resting on ice; they rush to the surface of the water creating a wave to dislodge potential prey into the water. Some Orcas work together to ‘herd’ fish before stunning the prey with strikes from their tails and Orcas have even been known to make group attacks on large whales. In many areas, Orcas have also learnt to follow fishing fleets to feed on discarded fish, or to take prey directly from longlines. The Orca is a social species, commonly living in large groups of up to 40-50 individuals. 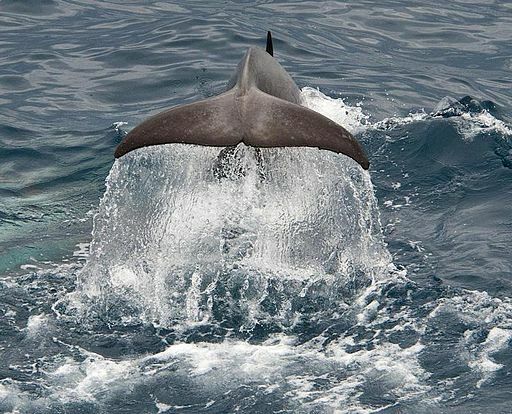 They communicate using a variety of screams, clicks and whistles, as well as through physical behaviours such as breaching, slapping the flippers or tail and ‘spyhopping’ (bringing the head out of the water). 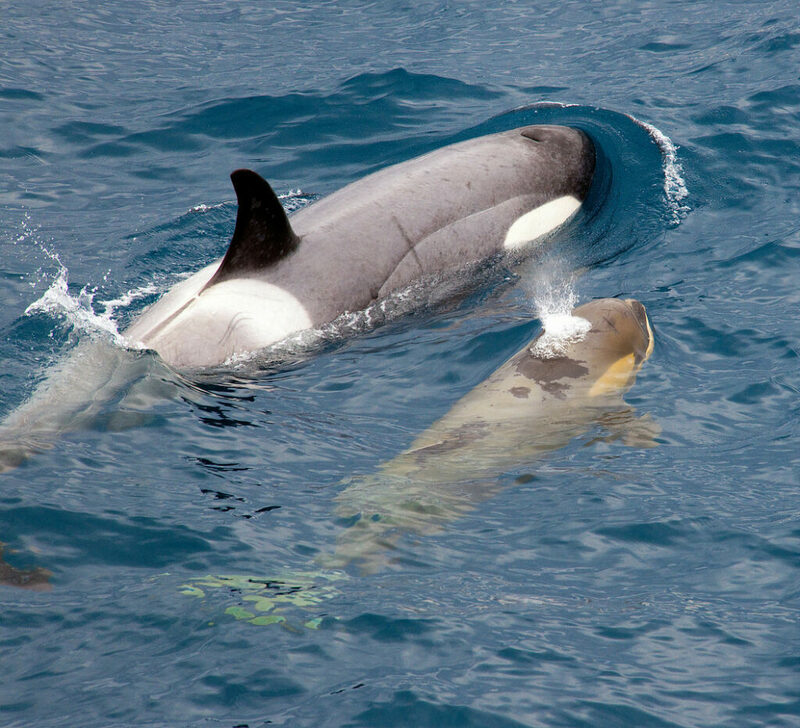 Females give birth to a single calf after a gestation period of around 17 months. The calf feeds on fat-rich milk from the mother until it is at least a year old. It will learn during the course of development how to hunt and communicate, developing calls like those of the mother. Females stop reproducing after the age of 40, but may continue to take an important role in the group by passing on experience to younger relatives. Orcas have a worldwide distribution; they can be seen in marine regions from the equator to polar waters, although they are generally more common in cooler waters and areas of high marine productivity. They are often seen close to the shoreline. Human activities impose a number of direct and indirect effects on Orca populations. They are at risk of injury from the propellers of fast moving boats, their foraging abilities may be affected by underwater boat noise, and they are vulnerable to reductions of their food supply as a result of overfishing. They are also at risk of the toxic effects of chemicals, for example from pesticides and fertilisers, which can flow into rivers and then on into the ocean. The build-up of these toxins, as well as marine pollution caused by the dumping of waste from human activities and large scale oil spills, may be a key cause of Orca mortality.